Along with the proposed defense hike, the budget deal adds $63 billion and $68 billion for non-defense discretionary spending over the next two years. Since, some House conservatives are already saying they won’t vote for the Senate deal, it will likely require Democratic support to pass the lower chamber. Assuming it passes, what does the Pentagon plan to do with the extra money? Name a priority from the National Defense Strategy or service leaders’ talking points of the last few years, and it’s probably in there. In December, Deputy Defense Secretary Pat Shanahan cautioned that Trump’s promised military buildup might not occur until the 2020 budget because the administration hadn’t yet finalized its guiding strategic documents. Next week, the Pentagon is expected to send to Congress its spending request for 2019. 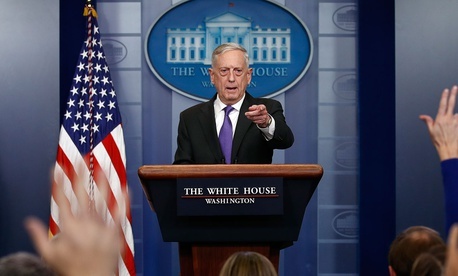 Mattis recently confirmed the request would total $716 billion, which includes the Pentagon’s base and war budgets, as well as nuclear-weapons spending by the Energy Department. The Washington Post first reported the budget number.